The outcome of the Greek elections, and the chaos that has ensued, should have sent a clear message to Berlin, Paris and Washington, that the austerity-first strategy has failed and that the very idea of making political distinctions between 'left' and 'right' has become passé at a time when the EU is disintegrating before our eyes. 'Survival' is the buzz word today, with the existence of the EU as a political entity at stake. Greece is of course at the epicenter of the Eurocrisis, but also at the heart of the lessons to be learned. Europe, the IMF, and the club of creditors imposed strict budgetary reductions and demanded structural reforms as conditions for bailout funding. It is quite clear that the size, structure, and level of dysfunction of Greece's public sector (not to mention the rampant corruption and lack of transparency) should have been obvious, and early targets for cost reductions and reform. But with public sector employment at the heart of "the machine," PASOK -- and the short-lived PASOK-ND-LAOS coalition government -- did not touch it, nor were they forced to do so. Instead they started squeezing every penny they could get from middle- and lower-income citizens through direct, indirect (i.e. VAT), and new, hated 'national solidarity' taxes. With incomes collapsing, the economy -- which is largely fueled by domestic and tourist consumption -- started collapsing, and small- and medium-sized enterprises closed by the tens-of-thousands. Today, one in five Greeks lives below the EU's standard of poverty, yet the public sector remains largely untouched, except for a near-freeze of replacements of retiring staff. So the most important element of any austerity and budget cutting exercise was in essence ignored, in essence sealing the outcome of the process before it began. One wonders how and why the Eurocrats permitted this to occur. Could it be that they knew, and perhaps, wanted Greece to fail, so as to be able to kick it out of the Union, after throwing their hands in the air in utter exasperation at Greek 'intransigence'? This state of affairs has precipitated a fundamental political shift in Greece. With the public sector and the ruling political class under increased surveillance by the media -- including a growing number of Internet-based news outlets and blogs -- New Democracy (ND) and PASOK lost much of their popular support. Systematic polling over the last year suggested that even their historic core electoral bases looked for alternatives: PASOK has lost many supporters to parties to its left, especially SYRIZA and the Democratic Left (DHMAR). ND has bled supporters to parties to its right, specifically the newly-created Independent Greeks, led by a disgruntled former loyalist (Mr. Kammenos), and, alarmingly, to the ultra-nationalist and white-supremacist party Golden Dawn. On one hand, the emergence of the extreme-rightist Golden Dawn is paradoxical, given that Greeks have never before embraced neo-Nazism. Previously, parties with such tendencies received only peripheral support. On the other hand, Golden Dawn has capitalized on the unprecedented collapse of the legitimacy of mainstream parties: not only of ND but also of the small conservative LAOS party (Popular Orthodox Action). Moreover, it has leveraged the anger, among some of the public, over the growing numbers of foreign migrants and refugees at a time of national economic crisis. Golden Dawn has also taken a page out of the Hamas and Hezbollah play book -- an unintended result of Eurocratic bungling: They show up with groceries at the door of impoverished households, even in leftist strongholds like Piraeus' Perama district. They walk women to the ATM and through 'dangerous' neighborhoods. And they have reaped a rich harvest of votes in a political atmosphere defined by poverty, wrath, and despair. Electoral result analyses suggest that most of its support is among young voters, and those between 30 and 55 years old. Alarmingly, the party has broad support across the national territory, in both urban centers and rural areas# Recent displays featuring growling muscular bodyguards in skin-tight t-shirts abusing journalists, and the Mussolini-esque shrieks of its leader, may sober up some of its voters before the next election cycle. So what was previously relegated to 'fringe' is now becoming the dominant theme. The parties historically marginalized by the two-party system and, as the case may be, by their own non-mainstream ideology, are now picking up former ND and PASOK voters. The Communist Party of Greece (KKE) is articulating clear, stark, and ossified positions. For the KKE, Stalin -- like Elvis -- is alive somewhere. In contrast, the two big winners of the left in the election are SYRIZA and DHMAR who can both be described as social democratic, and in Syriza's case also radical. The failure of the austerity-first program crammed down Greeks' throats by the Eurocrats and IMF has opened the door to the radical politics that are always simmering just beneath the surface in so much of Europe. The Greek election should be seen for what it is: a repudiation of the medicine Greece has been given over the past four years -- whether it deserved it or not -- with unintended and unforeseen consequences. Greece is a small economy, but for better or worse, Greece clutches Europe's dead-man's switch. Most countries in Europe have similarly diversified political landscapes, and many of them are vulnerable to the same social, political and economic backlash that has occurred in Greece. With Italy, Spain and Portugal hanging in the balance, Berlin, Paris, and Washington would be wise to carefully consider their next steps. Greece's lenders and the regulatory institutions should also learn from this unfolding cautionary tale, and engage in a serious critique of the austerity-first strategy, before denouncing calls for renegotiation. It may not be long before the surface is scratched elsewhere, and 'fringe' becomes 'mainstream' throughout Europe. Daniel Wagner is CEO of Country Risk Solutions, a cross-border risk consulting firm based in Connecticut (USA), and author of the new book Managing Country Risk (www.managingcountryrisk.com). 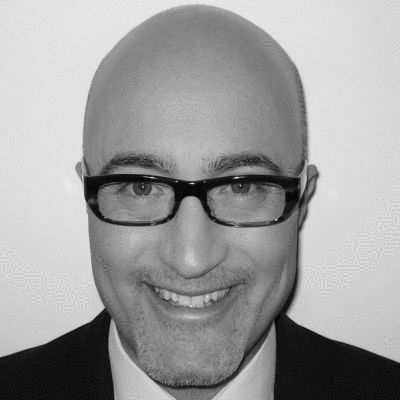 Alex G. Papadopoulos is as Associate Professor in the Department of Geography of DePaul University in Chicago, and is also Director of Geopolitical Analysis with CRS. The opinions in this paper do not represent the positions of DePaul University, its faculty, or the University's partners.